How to choose the stag company for stag party organizer? Who is the best stag company? Who has the favorable prices? These are the main questions when you are starting to plan your stag weekend abroad and looking for a stag company who could help you to fulfill your ideas. First you have to make some research. This might turn out a very complicated mission because there are tens and tens different stag weekend organizing companies when you start to Google it. 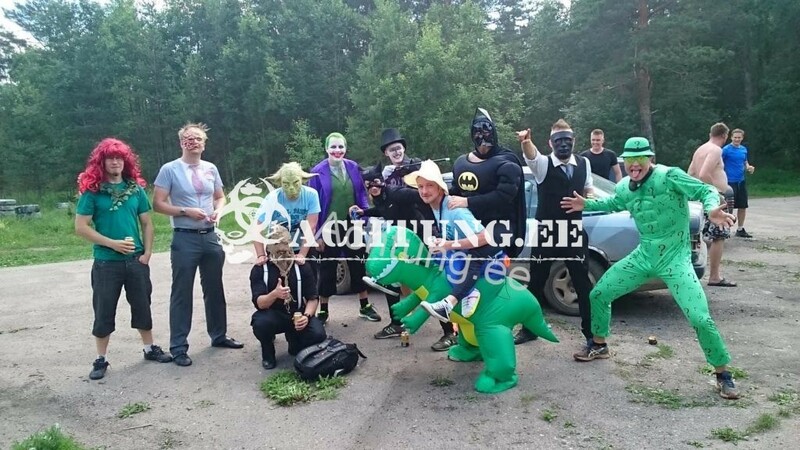 Even we, who are been organizing stag weekends in Tallinn over 15 years, get confused and perplexed what and how is offered by other stag weekend agencies. Very often they offer activities that are not available at all in certain county. We are talking mostly about Tallinn Estonia, because we know the market and all the activities that are available for stag activities. – Use Google Search! Look for local activity providers. When you find some interesting activity that you would like to have in your stag weekend that some agency offers than you should google it if there is somebody local offering it. If yes, then ask for a inquiry. The prices could surprise you. Mostly the agencies put some remarkable percentage on these prices and try to sell them to you. – Try to find and read reviews about these activities and their providers. – Try to find a company at spot that is real and existing and has good reputation. – Your hometown agency uses middle men in your stag weekend destination country when organizing a stag weekend. Unfortunately this situation will lead very often to misunderstandings, because the info flows through many people and some of it might get lost. The result of that is that your wishes will not be completed and you will not know it before you are in the destination. – they use middle men. The problem with using middle men is that very often they try to find some cheap B-category service provider and earn as much profit as they can.